Are you ready for Christmas? so am I. As soon as November starts I get into the mood of Christmas. And for this year I have special blog post series. I am so excited to introduce my Christmas blog post series for my lovely readers. I am posting series of articles which will be written by different travel bloggers. These bloggers will share there experience and tips to enjoy the Christmas in different cities. My very first guest blogger is travel junkie from hungry. Her name is Eniko and I am sure you will love to read her tips and bucket lists. 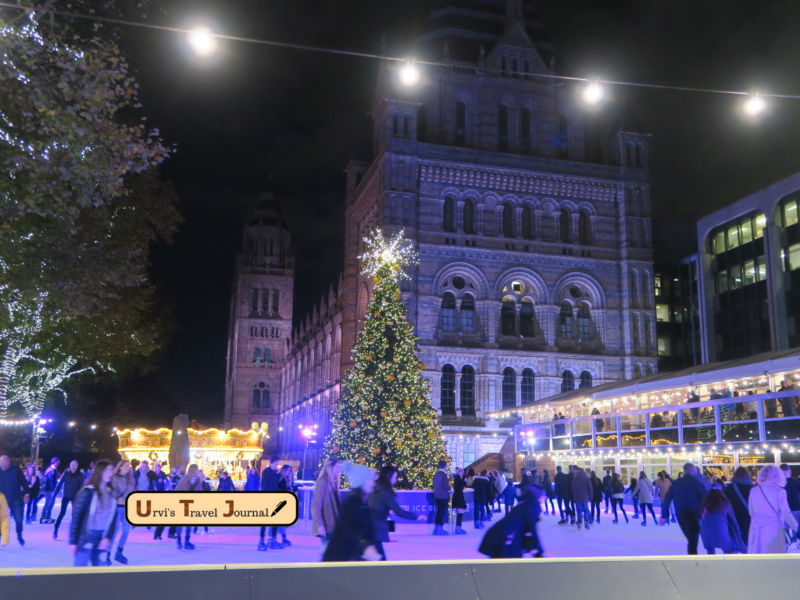 You can read her adventures on Travel hacker girl I am starting with most famous tourist destination so don’t forget to read how to enjoy Christmas in London by Travel Hacker girl. Spending Christmas in London is a truly magical experience. There are Christmas lights all over the city. I love walking around the streets in central London admiring the lights. Carnaby street normally has some really tacky lights, which I think are really fun. You can get some cool Insta shots there. 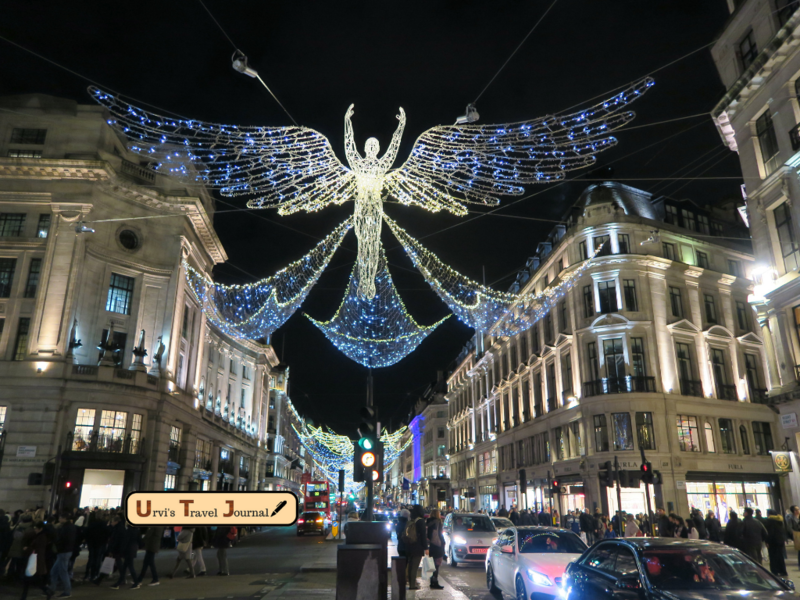 You should also visit one of the big department stores like Selfridges or Liberty as they are decorated beautifully. London has many pop up events during the festive season. You can visit the Backyard Cinema to catch a Christmas movie in a festive setting or visit Christmas at Kew. The garden has a long trail with music and decorations. It is a great place for families and couples alike. Make sure to book your ticket early as they tend to go quickly. Another must-do activity is going ice skating. There are lots of places you can do it. Somerset House, Hampton Court Palace and the Natural History Museum are one of the most popular ones. Each has its own charm. You can even combine it with a traditional British afternoon tea. Of course, London has no shortage of Christmas markets either. Winterville in Clapham Common has a roller disco, ice rink and mini golf. Note that in peak times you will have to pay a small fee to enter the site. But there are lots of other places you can visit for free. 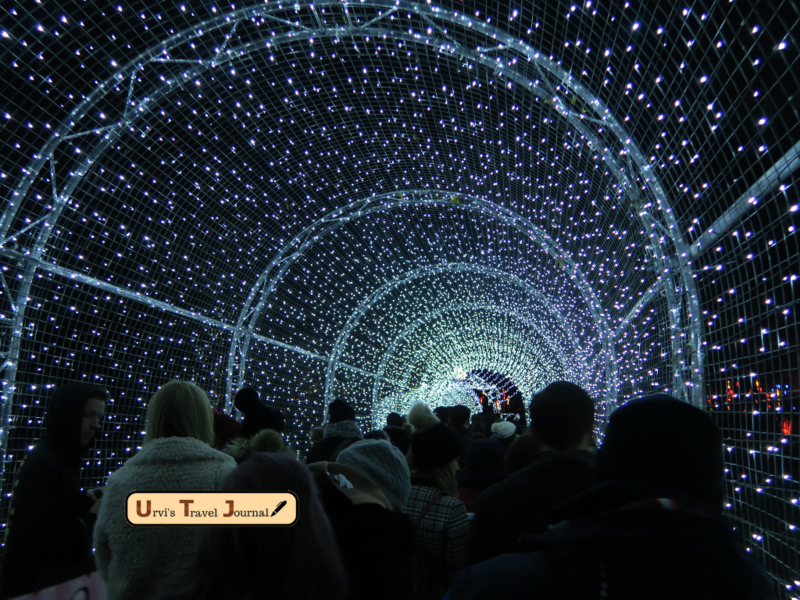 Winter Wonderland is the biggest and most popular Christmas market in London. It is located in Hyde Park and has lots of rides, like roller coasters, haunted houses, bumper cars, mirror maze, Ferris wheel and a lot more. You watch an ice show or circus performance! Everyone should visit Winter Wonderland if they are in London during the most wonderful time of the year!